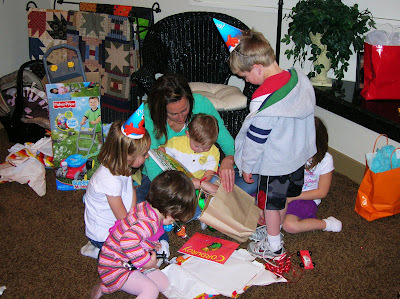 Our Little Family: Bryson's 2nd Birthday! Today Bryson is 2 years old! He's been walking around the house today saying "happy bir-day" with his birthday balloon. 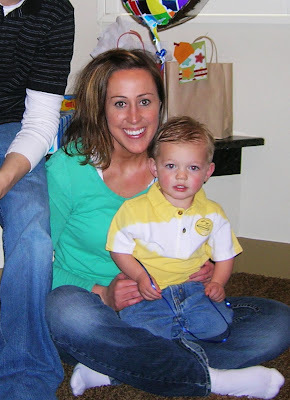 He also sent an audio/picture text to his birthmom and in his sweet little voice told her "I love you!" She sent a cute one back. 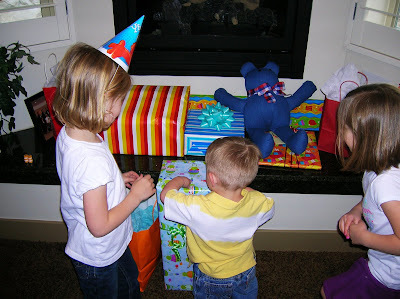 We celebrated his birthday Elmo style on Sunday with family and had a great time! 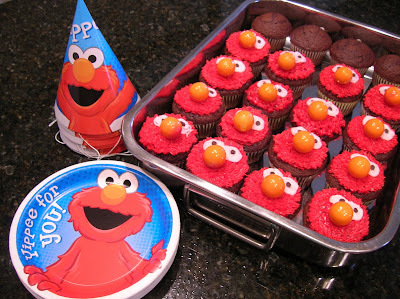 Mike helped me make these fun Elmo cupcakes to match the Elmo theme. 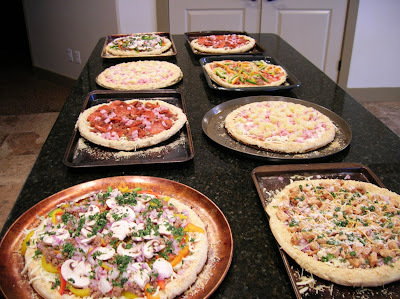 When we asked Bryson what he wanted for his birthday dinner, he said "pizza" so homemade pizza it was! 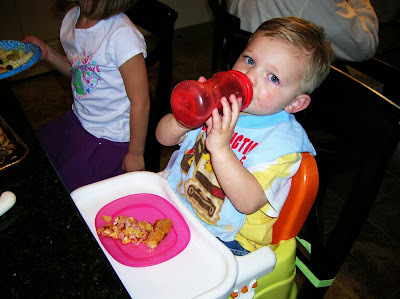 Bryson was so excited about having so many fun cousins to play with that he ended up hardly even touching the pizza. Go figure. Last year he didn't really understand the present opening thing, but this year he caught right on and tore open his presents like a pro! He received so many fun toys and has spent hours on end playing with them. 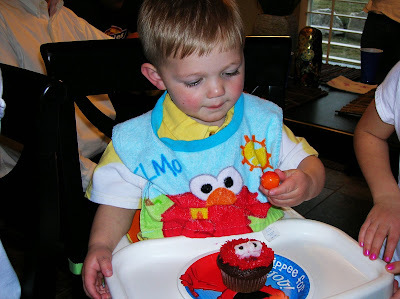 He was super excited when he saw the Elmo cupcakes, but eating Elmo kind of freaked him out and so he ended up not eating much of the cupcake either. 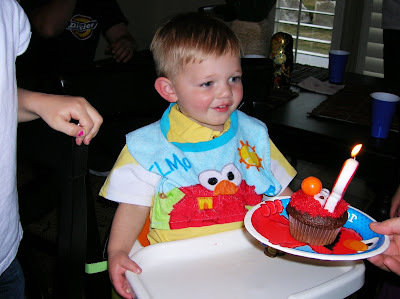 He licked a little frosting off of Elmo's nose, but that was about it. 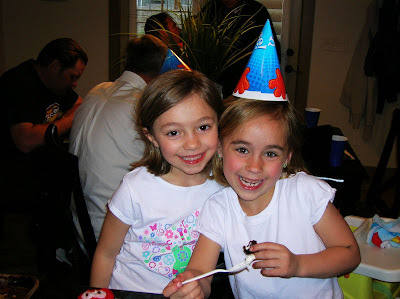 Bryson's cousin's Riley (from Mike's side) and Zyan (from my side) are the same age and were so cute together. 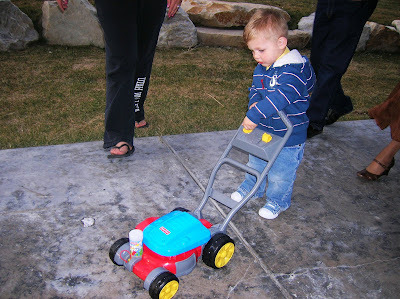 One of Bryson's favorite toys was his new bubble blowing lawn mower. It was fun watching him try to figure out where the bubbles were coming from. We just can't get enough of this little guy and still don't know how we got lucky enough to be blessed with such an amazingly wonderful little boy. He tries so hard to make good choices and is so helpful. His talking gets better and better every day and we are continually amazed at how smart he is and how much he's learning. I put together a short video (3:47) of random pictures and video clips that show some of the fun Bryson has had over the past week or so. It's simple moments like depicted in the video that make life so amazing. We love him with all our hearts! P.S. I forgot to mention that Bryson went to the doctor yesterday for his 24 month check up and he now weighs 27.6 pounds and is 34 inches high, which puts him in the 50 %centile for both weight and height. Go Bryson!